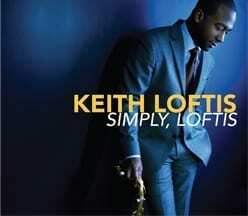 Keith Loftis has been described as one of the most dynamic jazz saxophonist of today. Keith was born in Dallas, TX where he began his study of jazz and classical music as a child. He is a graduate of the nationally recognized Booker T. Washington High School of Visual And Performing Arts in Dallas, with fellow classmate and two-time Grammy Award Winner, Roy Hargrove. He currently performs as one of the cast musician in the off broadway production of the Devil’s Music The Life and Blues of Bessie Smith. Loftis is a permanent member of the Frank Foster Loud Minority Big Band, Michael Carvin Quartet, The Roy Hargrove Big Band, The Baylor Project and Kenyatta Beasley Quintet. 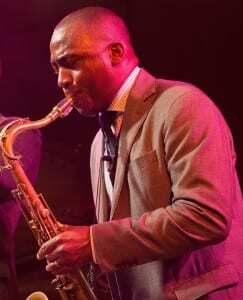 Over his career, Loftis has performed with jazz greats including Ray Charles, Benny Carter, Joe Williams, Alvin Batiste, Cedar Walton and Abdullah Ibrahim touring in South Africa to name a few. When not on tour, Loftis appears with the Chris Gillespie Trio at New York’s renowned Carlyle Hotel. Loftis has also worked on film projects such as the soundtrack for “Three Can Play That Game,” starring Vivica A. Fox, as well as the independent Film, “Black Out”, starring Jeffery Wright and Melvin Van Peebles. In addition, Loftis taught at NYU from 2004-2006. Loftis is sponsored by Yamaha Instruments of Japan, Lubiam of Milan, D’Addario Reeds, Eton Shirts of Sweden, and Soundwear Cases of Germany.